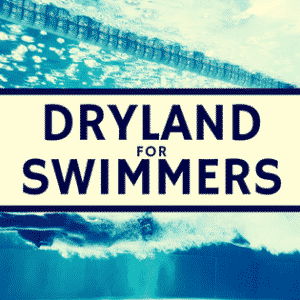 Below is an interview with Alex Burtch, a coach who will be on the Elite Swimming Science Dryland Call. This interview discusses a missing element of many dryland programs, inspiratory muscle fatigue. Alex Burtch is a graduate of the Masters in Exercise Physiology program at the University of Louisville. He has worked in personal training, group fitness and sports specific strength and conditioning. His interest is in sports enhancement training for every level athlete in a variety of sports settings. Alex has experience at the highest level of competitive swimming for the University of Louisville earning NCAA All-American honors. What do we know about the effects of inspiratory muscle fatigue and performance? Inspiratory muscle fatigue (IMF) is most common in sports where high-intensity efforts are sustained for long periods of time e.g. cycling, running, swimming, and rowing. As the body approaches maximal ventilation during heavy exercise, the diaphragm’s force production plateaus yet the ventilation rates still rise as more and more accessory muscles are recruited to assist. During high-intensity efforts (above 90% effort), the respiratory system can demand up to 12% of blood flow for respiration. A classic study by Aaron et. al. showed that using pressure assisted ventilators to “unload the respiratory muscles” and make it easier to breathe increased performance(1). With respect to swimming, Jakovljevic proved that breathing every four strokes during a 90% effort, 200-m swim produces more IMF than breathing every two strokes2. 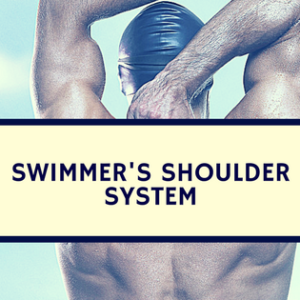 Mitch Lomax, an Australian sports science expert has extensively researched IMF for swimmers. She has found that race speed has an effect on IMF and such fatigue can affect stroke rate and length (3,4). Additionally, she has proved that IMF can occur in all four strokes, not just freestyle(5). There are two possible causes of IMF. First is what we would call ‘central fatigue’ where the brain and the nervous system simply can’t produce a large enough electric signal to stimulate the diaphragm. This is usually pretty rare in sports. Alternatively, local fatigue refers to where the diaphragm and supporting musculature fatigues. Usually, local fatigue occurs due to competing resources (blood flow and energy). Now, we need to be able to breathe and the diaphragm is exceedingly important in this process so it never truly fatigues. We believe that accessory muscles are not only recruited to further increase ventilation beyond what the diaphragm can handle (as we talked about before) but to also preserve the diaphragm as much as possible so that it can resume normal function once exercise ceases. What are the methods for improving IMF? Generally speaking, there are two methods to improve inspiratory muscle breathing. First is to use a resisted breathing device. These use mesh screens to restrict airflow and make the lungs work harder to inspire and expire. Modified spirometers have been used in research dating back to the early ‘90s but commercially available products such as POWERbreathe, accomplish a similar outcome. Kidling et. al. demonstrated 1.7% and 1.5% performance increases in the 100-m and 200-m freestyle time trial efforts after training twice a day for 6 weeks(6). Second, controlled frequency breathing (CFB) is another way to train the muscles. Terrestrial athletes can perform breath-holds ad libitum during exercise or use spirometry devices that limit the number of breaths per minute. Lavin et. al. showed performance benefits for recreational triathletes after training CFB three times per week for 4 weeks (7). Our study investigated the effects of CFB on elite athletes with an NCAA style, short course yards performance outcome. How did you classify controlled frequency breathing? Controlled frequency breathing is best described as a set breathing pattern that lengthens the breath hold beyond what a swimmer would normally perform. This can have broad ramifications. For a swimmer that breathes every 2 strokes, breathing every 3 is a very light form of CFB. Breath holds for every 5 t0 7 strokes are most common in swim practices, however, longer breath holds (every 9 t0 11 strokes) are probably needed for true adaptations. What did your study look at and find? In our study, we primarily evaluated the effects of controlled frequency breathing and its effect on IMF. We used a technique called ‘maximal inspiratory pressure’ to gauge the strength of the inspiratory muscles before and after a 200-yard all-out freestyle effort in order to measure the amount of fatigue developed. Then the swimmers practiced for 4 weeks where they completed a 12×50-m on 1:00 set, three times per week. The intervention group was encouraged to take, at maximum, 2 breaths per 50 where the control group could breathe as much as they wanted. For weeks 2 & 3 we decreased the interval to 55 per 50-m, and for week 4 we decreased it to 50. Then we re-tested their maximal inspiratory pressure before and after the 200-yard effort. There were two important findings in our study. 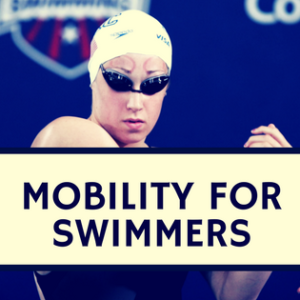 First, the amount of inspiratory muscle fatigue developed after a 200-yard free effort was about 13%, however, the athletes recovered after a minute. Second, the training group decreased their fatigue to a statistically non-significant 2% post-race. Despite the training effect of decreased fatigue, the intervention group did not improve their performance over the four weeks (8). Many swim coaches, as you know, use breathing patterns during practices. Do you think this is warranted? Our proposed mechanism of improvement is based off what we know happens to rib cage musculature of trained apnea divers. When these folks hold their breaths for 3-4 minutes, there’s a defined switch point between an easy going and struggle phase. During the struggle phase, EMG analysis shows that accessory inspiratory muscles (intercostals, ab musculature) are increasingly recruited towards the end of a maximal breath hold (9). That being said, most swimmers would admit to ‘struggling’ during breath holds lasting stroke counts of 7, 9, or even more. We reach the struggle phase earlier than apnea divers mostly due to the high activity of locomotor muscles during the breath hold. Therefore, we do believe breath hold training is effective in inducing the struggle phase for swimmers and therefore, a training response. If a swim coach wanted to train the IM, what do you suggest? Realistically, controlled frequency breathing is the cheapest, easiest way to train this system. Using a resisted breathing device such as the POWERbreathe requires daily training and usually costs around $30 per device. This study proved the efficacy of CFB in swimming and it is our belief that after an entire season of this training, performance benefits may be realized. However, there’s a lot we don’t know about the benefits of this training. Would someone gain all the benefits and no more after 4 weeks? Would they lose these benefits shortly after training or maintain them the entire season? More research in these areas would be needed. Aaron EA, Seow KC, Johnson BD, Dempsey JA. Oxygen cost of exercise hyperpnea: implications for performance. J Appl Physiol (1985). 1992;72(5):1818-1825. Jakovljevic DG, McConnell AK. Influence of different breathing frequencies on the severity of inspiratory muscle fatigue induced by high-intensity front crawl swimming. J Strength Cond Res. 2009;23(4):1169-1174. Lomax M, Castle S. Inspiratory muscle fatigue significantly affects breathing frequency, stroke rate, and stroke length during 200-m front-crawl swimming. J Strength Cond Res. 2011;25(10):2691-2695. Lomax ME, McConnell AK. 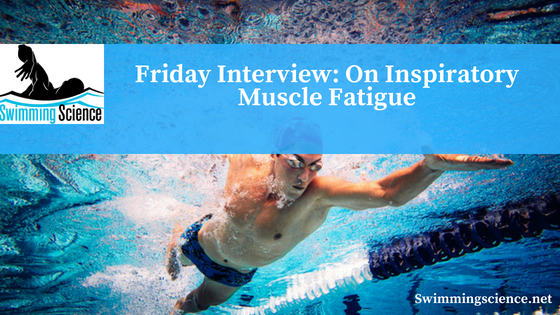 Inspiratory muscle fatigue in swimmers after a single 200 m swim. J Sports Sci. 2003;21(8):659-664. Lomax M, Iggleden C, Tourell A, Castle S, Honey J. Inspiratory muscle fatigue after race-paced swimming is not restricted to the front crawl stroke. J Strength Cond Res. 2012;26(10):2729-2733. Kilding AE, Brown S, McConnell AK. Inspiratory muscle training improves 100 and 200 m swimming performance. Eur J Appl Physiol. 2010;108(3):505-511. Lavin KM, Guenette JA, Smoliga JM, Zavorsky GS. Controlled-frequency breath swimming improves swimming performance and running economy. Scand J Med Sci Sports. 2015;25(1):16-24. Burtch AR, Ogle BT, Sims PA, et al. Controlled Frequency Breathing Reduces Inspiratory Muscle Fatigue. J Strength Cond Res. 2016. Cross TJ, Breskovic T, Sabapathy S, Zubin Maslov P, Johnson BD, Dujic Z. Respiratory muscle pressure development during breath holding in apnea divers. Med Sci Sports Exerc. 2013;45(1):93-101.